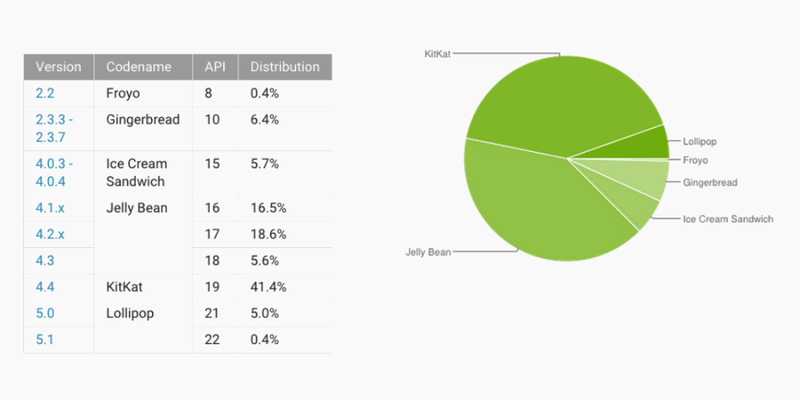 Albeit rather slowly, Lollipop continues to grow on the Android Distribution charts. Last month, Lollipop sat at 3.3% of all devices, but now, runs on 5.4%, which is what we would call healthy growth in terms of Android rollout. Still the big dog, Kit Kat, saw growth as well to 41.4%. The rest of the versions of Android all dropped, just like they have been for months. Jelly Bean is down to 40.7% (from 42.6%), Ice Cream Sandwich to 5.7%, and Gingerbread to 6.4%. Froyo is still alive on a few devices, sitting at 0.4%.